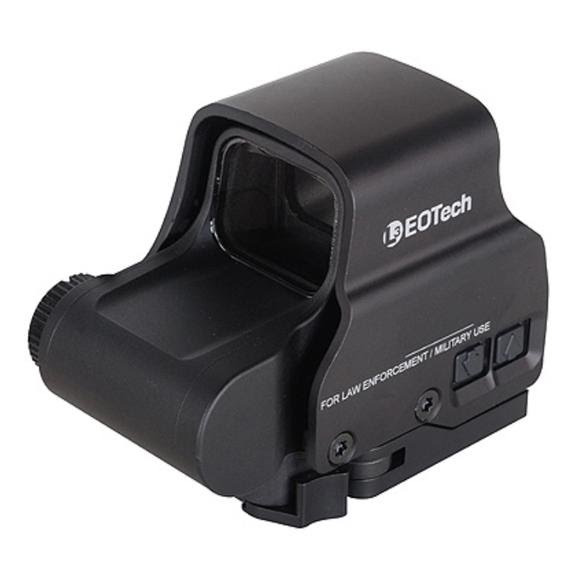 EO Tech EXPS2 Holographic Tactical Sight offers a true two eyes open shooting experience. It's designed with a transversly mounted lithium 123 battery, and 7 mm raised base offering iron sight access. This tactcal scope is designed to adjust side buttons and an adjustable, locking, quick detach lever for easy attachment and removal. EO Tech EXPS2 Holographic Tactical Sight offers a true two eyes open shooting experience. It&apos;s designed with a transversly mounted lithium 123 battery, and 7 mm raised base offering iron sight access. This tactcal scope is designed to adjust side buttons and an adjustable, locking, quick detach lever for easy attachment and removal. Length 3.5" x 2.2" x 2.4"